Please do not rely on frankincense essential oil to cure your cancer and do not buy into feeling like you have to spend a fortune on frankincense oil as there are reputable companies which sell frankincense oil for very reasonable prices. Lea's opinion on brands is here. Any kind of “anti-cancer” protocol should always be approved by a doctor. There are many essential oils (and other natural remedies) which can interfere with chemo and actually protect the cancer cells instead of helping eradicate the cancer. 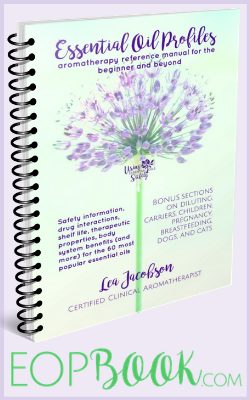 Read Frankincense essential oil and cancer: Why EOs and chemotherapy don’t always mix by Robert Tisserand to learn more. “Be very conservative with any EO use under these conditions without being under the care of a Naturalpathic Practitioner and an aromatherapist. If you want to pursue the use of essential oils during your cancer treatment it is highly recommended that you find a local aromatherapist to work with who will work alongside your oncologist and they can work out the best and safest treatment for you.